Baby Cham and Eight Two Seven Boutique owner Nastassia. 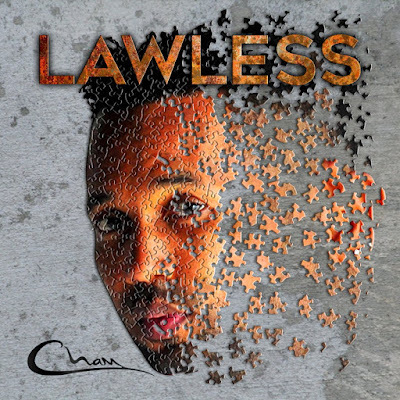 Known for his gritty story telling and catchy Dance-hall tunes; Baby Cham returns to New York's music scene after 5 years with new LP, LAWLESS. Cham has been one of my favorite Reggae/Dancehall artists for as long as I can remember, along with Buju Banton, Sizzla, Beenie Man, Vybz Kartel, Mavado, Gyptian, Popcaan, Bounty Killer, Lady Saw and Shabba Ranks. With hits like, Ghetto Story, Vitamin S, Mek Jamaica Feel Proud, Tables Will Turn, Middle Finger, Boom Boom, Man A Man (Grounds Man), Babylon Bwoy, Another Level, new songs Money Wine, Love Song and Hero, his talent can never be denied. Click the post to see video and photos from the party. As you can see, it was #goodvibesonly .... A networking event that felt more like a reunion. I met a few of my Instagram friends and bumped into some people I hadn't seen in awhile, like Baby Cham's publicist Marie Driven and Music Mastering Engineer/Producer Jeff 2 Da Left. Another one of Marie's clients, Love & Hip Hop's Swift was there too! He came to play! We hit SOBs yesterday to support him there too!